You know, these little lights delight me. They are around a thin-limbed tree which is just right as these are tiny lights, smaller than the tiniest bulb. I've moved the solar collector around when the lights waned and sure enough, they were shining bright again. So, after several months, still happy with this purchase. 1. Solar-Powered and Energy-saving. Auto-on at night and auto-off in the day. Please turn the switch on and make the panel get maximum sun exposure. Last about 10 hours working time once it is fully charged. 2. Ambient Light. 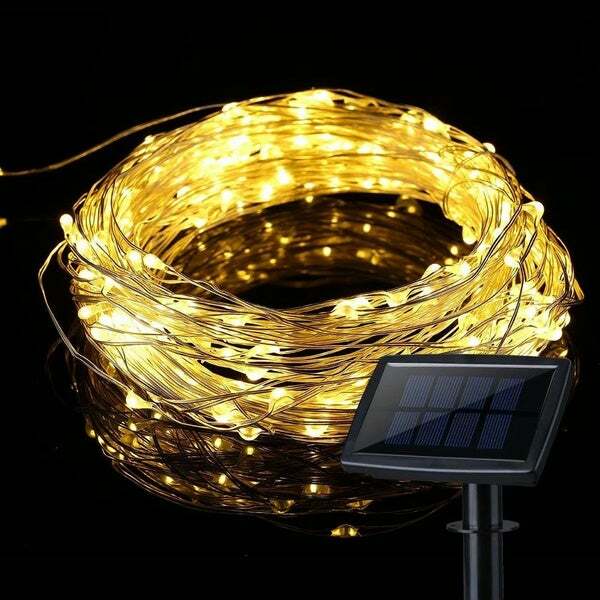 The string light is about 33feet long and has 100 warm light LEDs, which can create soft, cozy ambience with warm light that ideal for home, business, festival decoration. 3. 8 Lighting Modes. Choose the lighting effect you prefer and create romantic ambience. 4. Bendable and Flexible. Made of copper wire, the solar string light is very flexible and can be bent into any shape. You also can wrap them around anything you want, like tree trunks, branches, gazebos, or windows etc. 5. 2 Pack for More Decoration. IP64 water-resistance, it will be great for outdoor decoration. Come with a stake stand to place in the ground easily. 4. It is only water-resistant, so please do not immerge it into water. I'd been meaning to get some solar lights for my back deck, so when I saw these on sale I put them in my basket without doing much research on them. I honestly didn't have high expectations, but when they arrived I was pleasantly surprised with their quality and design! The lights themselves are very small, like little drops of glass spaced about every 4 inches along the wire, however when lit they give off a nice bright light for their size. The solar panel is about 5 x 6 inches, and a set of 3 screws and anchors are included in case you want to affix it to a surface (I attached mine to the railing on the back deck where it will get the best sun). Also included are two separate extenders for the solar panel: one about 3" long and hollow, so you could place the panel on top of a small post, and the second post is about 4" and pointy on one end so the whole thing can be pushed securely into the ground. The extenders are designed so you can use one or the other, both together, or neither of them. There is an 'on/off' button on the back of the solar panel, so if you don't want the lights on at night it's just a matter of pushing the button. If you leave them on then they will come on automatically when it gets dark, and then turn themselves off when the sun comes up. One of the nicest features is the 'mode' button on the back of the solar panel which allows for numerous different flash patterns for the lights (or none at all). I'm actually so pleased with these that I'm considering getting another set or two for other outside areas. The varieties of options available for setting up the solar panel and with the lights themselves makes these very versatile, so customization for different areas and purposes is very simple. 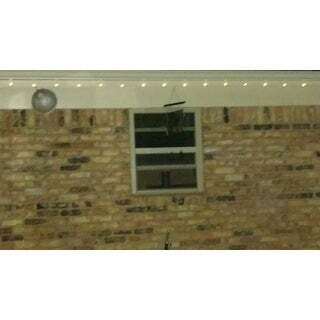 The 100 LED warm white light outdoor string decorative lights arrived quickly and I was excited to put them up. We don’t have outdoor outlets so the solar panels are perfect for us. They create a warm inviting light...exactly as I’d hoped! I bought 4 sets of these lights. Two sets as gifts and two sets for my home. My husband helped my sister in law put up her lights around her front deck which added some warm beauty to an otherwise unnoticeable deck at night. It has been nice when she has BBQ’s and people are more comfortable sitting out on the deck, with the new lights. It’s more inviting, whereas before it was just dark and uncomfortable. She likes the solar feature as well as the automatic off during the day and on at night setting. She also mentioned liking the other eight settings it has to adapt to any situation she may be hosting at her house. The fact that these lights are solar and waterproof have made all of the above mentioned possible. I can see her in the future asking to order more of these flexible, bendable, perfect for any situation, lights. I am definitely happy with my purchase for my sisters-in-law. I bought a pair of the same lights for each of my older teen children. One chose to hang them in a chevron pattern on her wall and clip pictures of her and her friends to them. 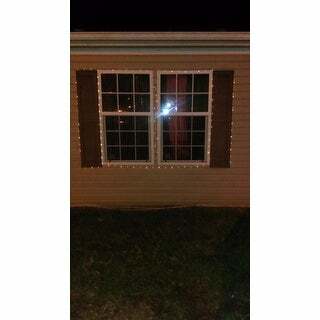 While the other daughter chose to place lights to accent her window and around her twin bed. It added a sweet ambiance to an older teens room. The solar panel fits in the window then has approximately 10 feet of cord before the lights start so they don’t have to start in the window even though the solar panel should sit there. We have some similar lights of different colors shorter in length that were twice the price and are battery operated, I would choose solar every time, rather than fuss with the batteries and an on and off switch. They are also not waterproof and do not have as many settings, are shorter, more expensive and not near as nice. I am also glad I bought these for my girls. I’m going to buy several more sets. Some for my mother in law for Mother’s Day and some for my living room. I just love the non overbearing but just the right amount of beauty they add to all of the situations I’ve seen them add too. I really love the solar panel light sets I purchased. The warm white is more golden and I use them to enhance my four-poster bed. It also has choices that determine how the lighting can be used as well as the speed of the lights. I am particularly drawn to the setting that has the lights appear as stars blinking, but there are so many places and light effects this bundle can transform I have just started having fun making both my indoor and outdoor spaces look extra magical. When I purchased the Solar String Lights I was unsure where exactly I would put them, or exactly how long it would be. I must say that I am glad I did buy this product. It is more then what I expected! The Solar Panel is about the size of a grown hand, and comes along with different techniques to hang, or stake the Panel. The option mode for the lights are very unique as well! I am glad I made this purchase and suggest anyone else to make the same! These are a great warm white color. Long light wiring with a good amount of lights. Easy to use the solar panel. I wish it had a hook on the solar panel so it could hang, but the post for the ground works great. Fantastic for what I needed. I was looking for a solar powered light source to give low lighting in my chicken coop. Some of my birds are procrastinators and stay out till dark (or sometimes later). They then have trouble finding the roosts and empty spots when they do locate them. The lights on the string are very small and since it is attached to a wire it was super easy to string the lights around the top of the coop. When clicked to On/Steady the lights will turn on once it gets dark enough outside. I haven't had any birds peck the lights and they don't seem overly curious about them which is good. I do not believe the lights give off enough light to provide supplemental light for winter laying, but if my birds do proceed to lay this winter I will update this review so the information is available for anyone who is interested. I suspect they would need more and stronger light though. I added some pictures to give an idea of how much light they provide in the coop. It works well. Put it around a tree in the yard and after charging for one day it went on at night and stayed on many hours. The wire is thin and disappears as it blends in with the trunk. However, the lights being LED are not as warm as regular lights. I find them a bit "cold" looking overall. They are very small but definitely bright enough to give the effect you're looking for, if you don't mind the LED look. These are just simply FUN! They are so versatile that I had a hard time deciding where to place them. Ended up putting 1 strand on my back deck railing, (really adds ambience) and another set down in my garden area, around our 3ft' garden fence. SO cute, am ordering more now to complete it. The solar panel is so easy to place; just used the included plastic stake that is included with the light package and pushed it in the garden dirt facing direct sun. Voila! As far as my deck, I just used the enclosed screw pkg and screwed the solar panel on top of my deck railing. The panel is not Huge and awkward looking, so it blends right in. The light set I'm purchasin g today is with OS's 20% coupon!! Yay! Thx Overstock! These lights are perfect! I used these solar lights around my yard & they add the perfect touch! Definitely recommend these lights to anyone that loves a little glow in their garden...etc. The mode button allows you to switch it up a bit from a solid light to a twinkle. My wife had just mentioned "We need lights out there that I don't have to plug in", so I grabbed the box these arrived in, opened it and plopped them in her lap. Needless to say meeting her needs so quickly and efficiently I was immediately rewarded with a litany of how these were wrong and I didn't understand and I am an idiot. The joys of being a husband married to a malcontent. Ladies, if you have recognized yourself in this review. Try a little tenderness and praise. It will go a long way. These are beautiful all year I love them!! Very beautiful, I love them. Easy to install. Looks very good. So many settings! I.love.these.lights. When I bought this, I didn't realize how many settings there were. They can fade in and out, blink, chase, and more. The wire is so thin you barely notice it's there in the day time. They look great. I highly recommend them! Very petite lights , that add so much ambiance to my deck. They have endured rain and are still illuminating at night for five weeks now! Very happy with my purchase! the first set worked for a few months. the second set has yet to light up.. waste of money. So much smaller than expected. Very thin and tiny, not warm light. Just what I expected. Very easy to installed. I wrapped them around a big palm tree in my patio and they look amazing. No to bright, just perfect. I bought 4 strings of lights and only 1 continued to work after the 3rd day. I would of returned them, but to get them down from where I hung them was to big of a job and not worth the effort even though they were expensive. I re-positioned the solar panel, made sure they were clean and the switch was in the right position. Nothing worked and I was very disappointed because they look great, if they worked. "Is the 33' length for each string or is the 2/pk total 33'?" "Can I hang these in my gazebo"
Yes, these are outdoor lights so they should be ok in your gazebo. Definitely!!! I live in Syracuse, NY, the annual winner of the Golden Snow-globe Award and I’ve had ours outside since December. They work beautifully!!! "can these be use on the ground in bad weather around flowers"
" Can they be used as a curtain in a large window that gets plenty of afternoon sunlight inside my house"
If the sunshing can come in your window ,and the light panel can face the sunlight , on the other hand you need use some couples fix the string light.... maybe you can enjoy it . "I put these lights on 2 evergreens I have in the backyard. They worked perfect for about a week, now when it gets dark the lights have to manually be turned on. I purchased 2 sets of 2 strings and all are doing the same thing. Unfortunately - looks like these lights are not good quality. Has anyone else experienced this issue?" I haven’t. I’ve had mine on my front porch since I received them and they come on automatically when it gets dark. "I live in Michigan. Will these take the cold possible snow during Christmas? 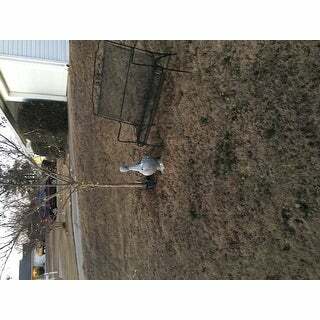 Want to put outside in small tree." "I want these lights for a wreath on the front of the house (2nd floor). where do I place the panel? "